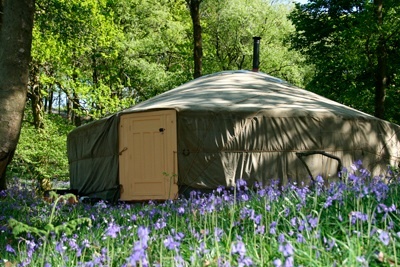 Our yurts our surrounded by a beautiful oak woodland in the Lake District. We cater particularly for groups, whether it's a going away party, a hen or stag weekend, or a family get-away. We can sleep up to 24. 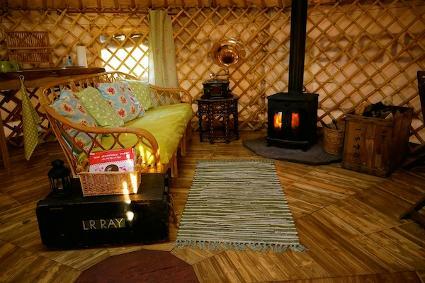 Our camp has been built with a low impact approach, with safari style showers and compost loos, but we haven't compromised on luxury and comfort, with wood burning stoves, memory foam mattresses on comfy beds, board games, an outside fire pit with a parachute shelter, all providing a fantastic glamping experience in the woods!